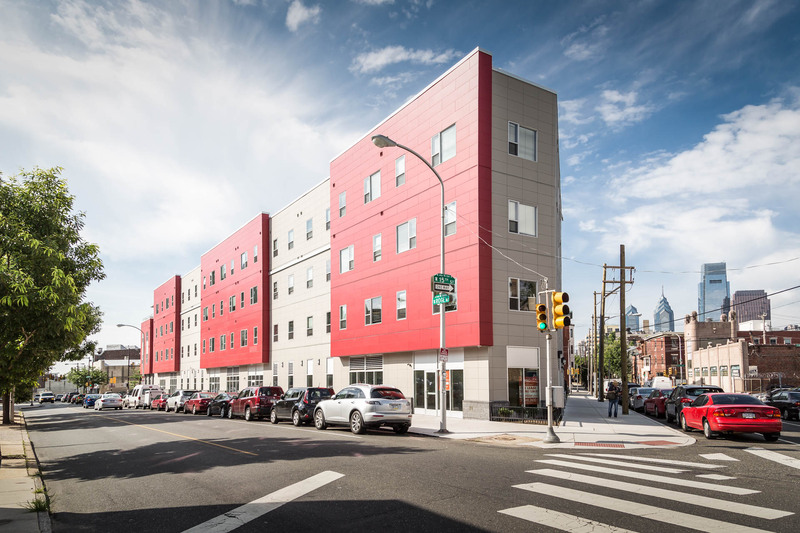 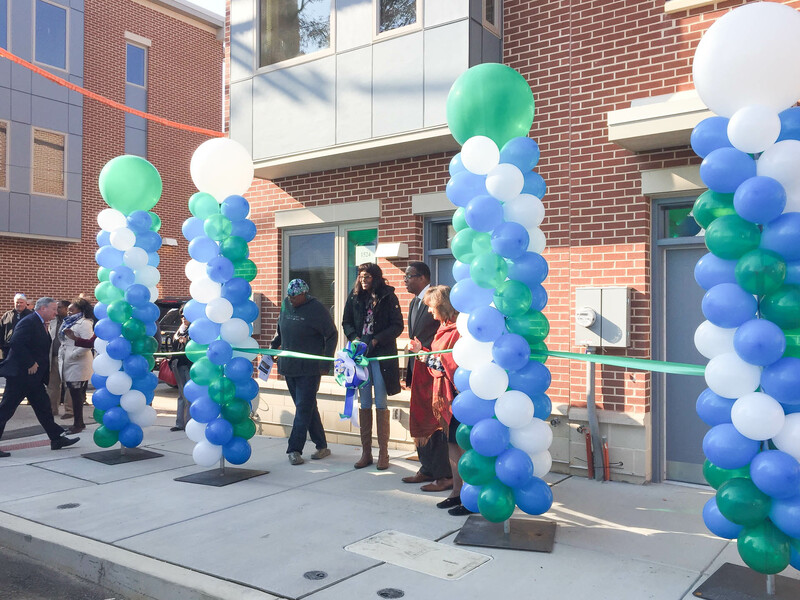 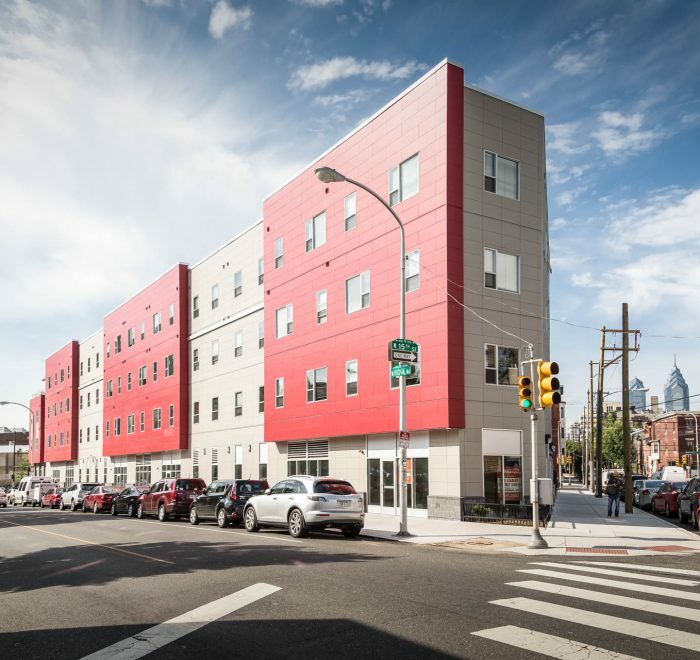 Located on a unique triangular site at the intersection of North Broad Street and Fairmount and Ridge Avenues in North Philadelphia, JBJ Soul Homes is the most recent in a growing line of successful, supportive housing projects throughout Philadelphia developed by Project H.O.M.E., a non-profit, non-sectarian organization dedicated to breaking the cycle of homelessness and poverty by providing affordable housing and community services to both homeless and low-income individuals. 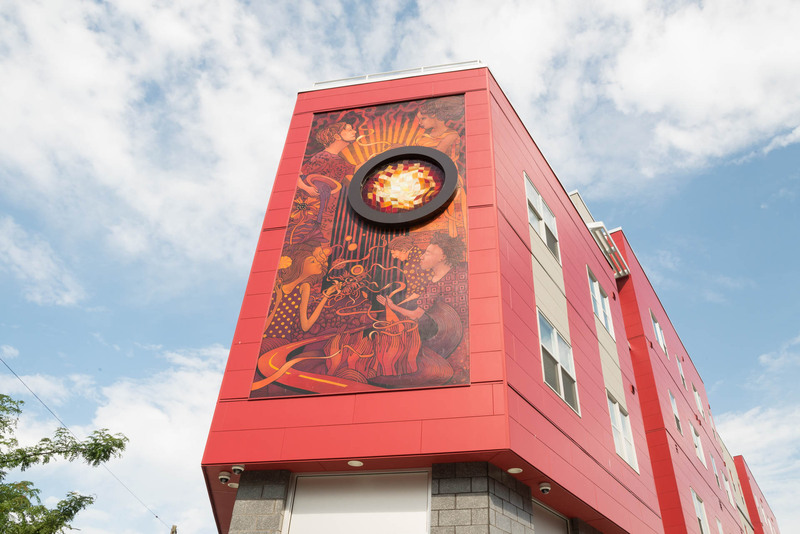 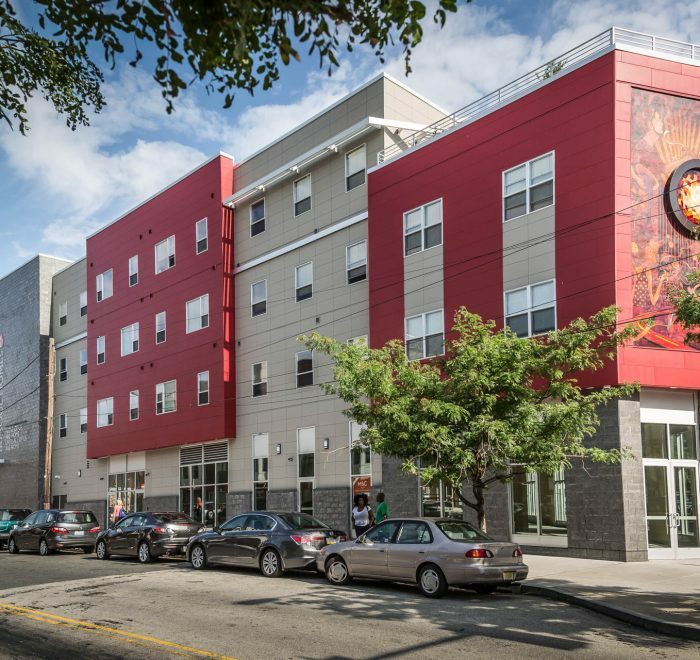 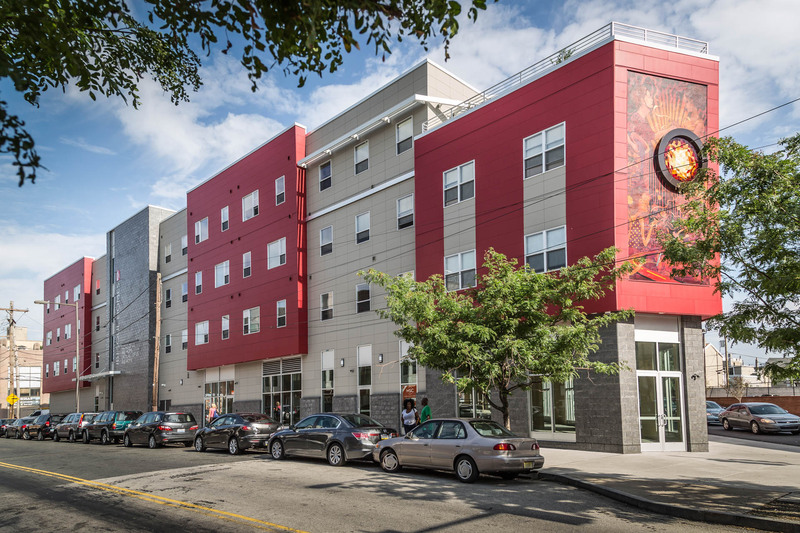 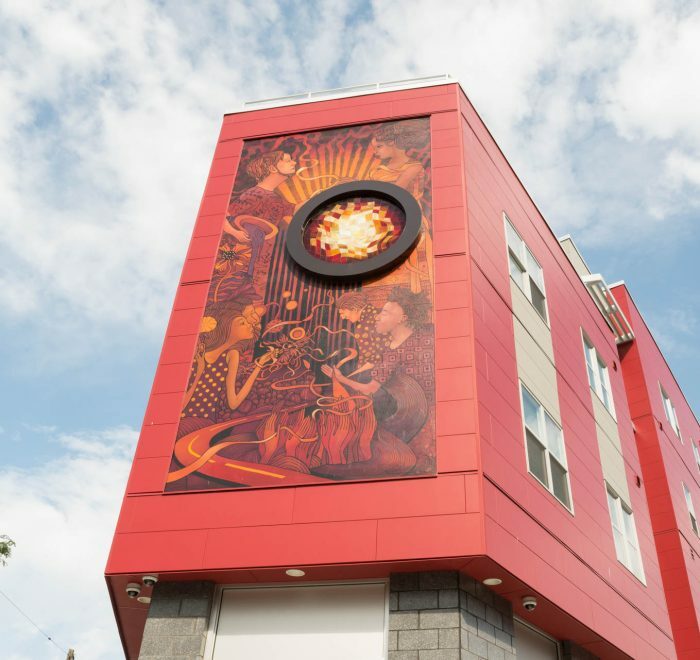 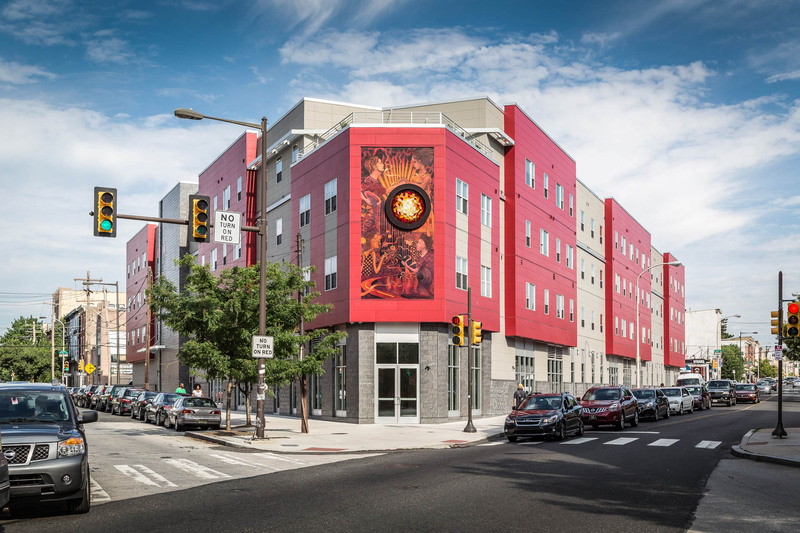 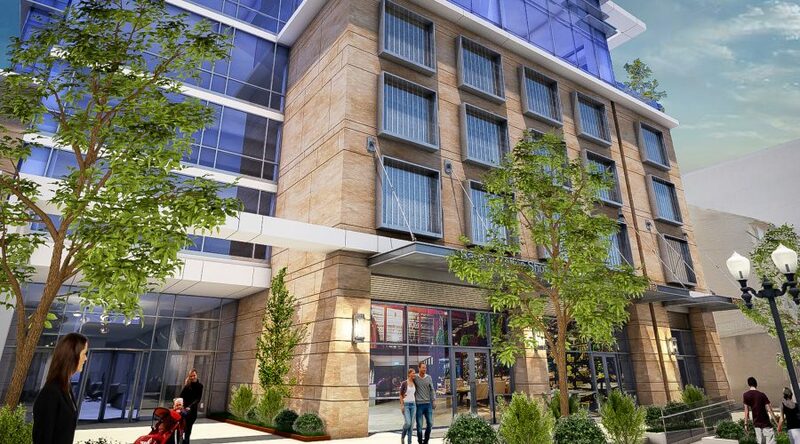 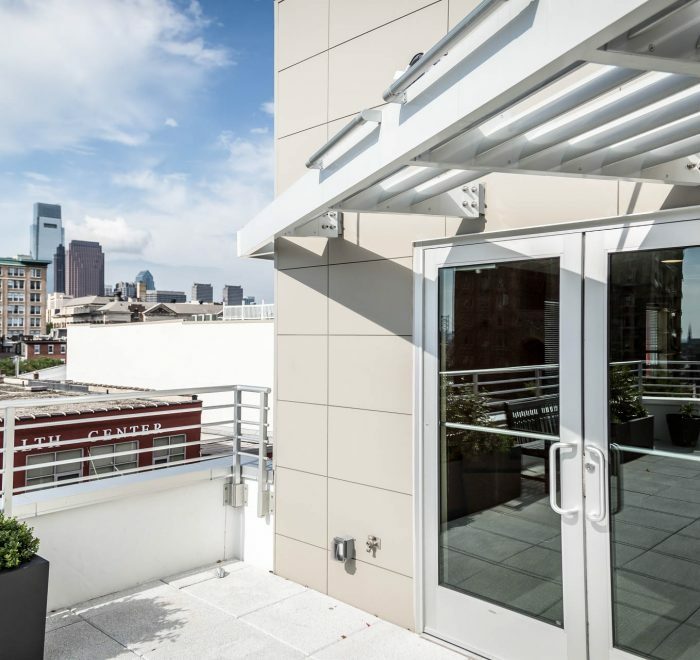 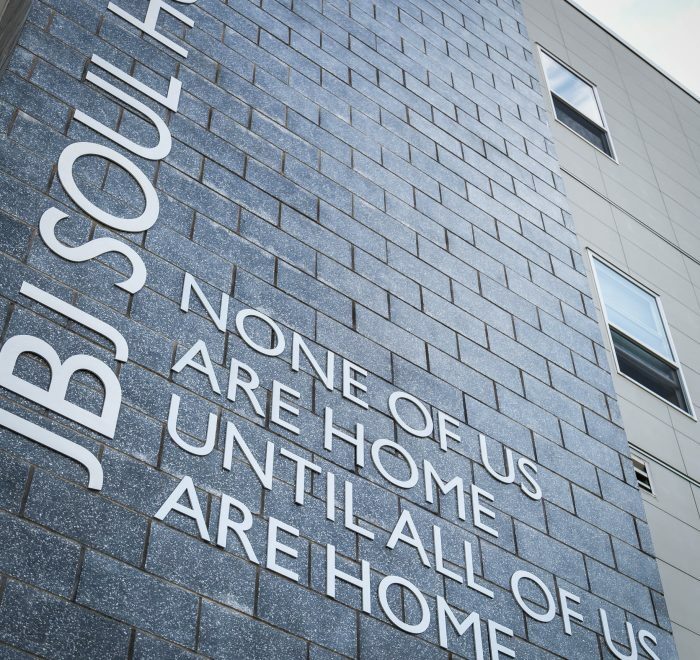 Primarily funded through Low Income Housing Tax Credits, public donations and private equity—including support from the Jon Bon Jovi Soul Foundation and Middleton Housing Partnership, the Pennsylvania Housing Finance Agency, the City of Philadelphia and FHLBank Pittsburgh—the JBJ Soul Homes facility is a new, four-story mixed-use development including retail space, offices and a total of fifty-five supportive apartment units dedicated to homeless adults currently making the transition into more permanent housing solutions. 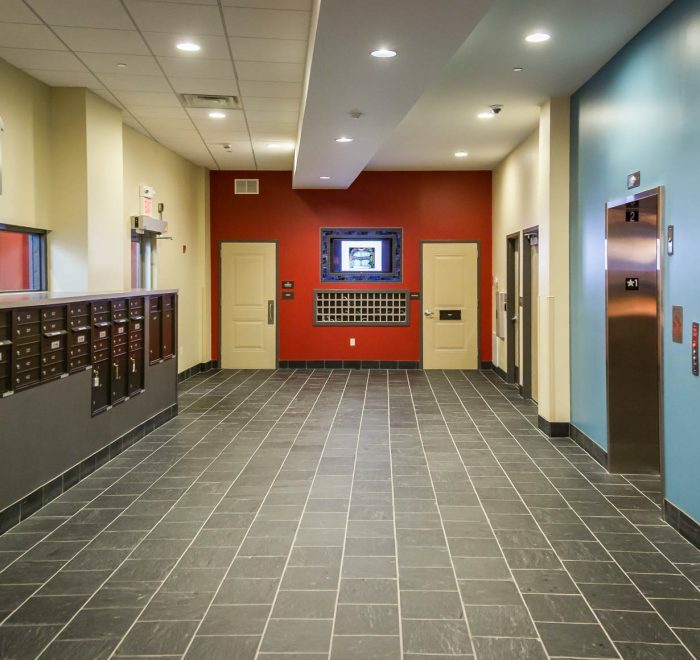 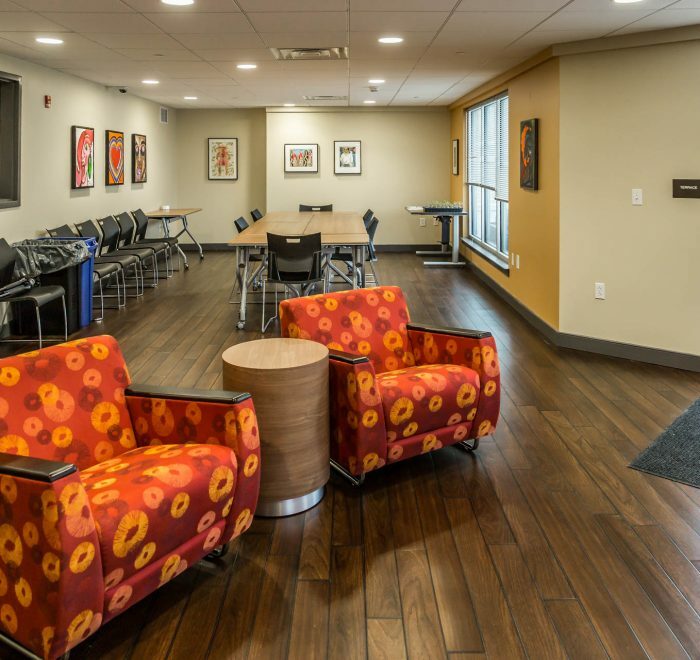 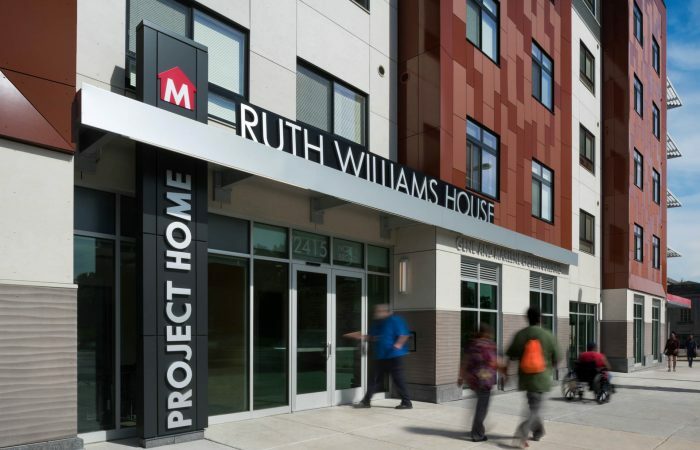 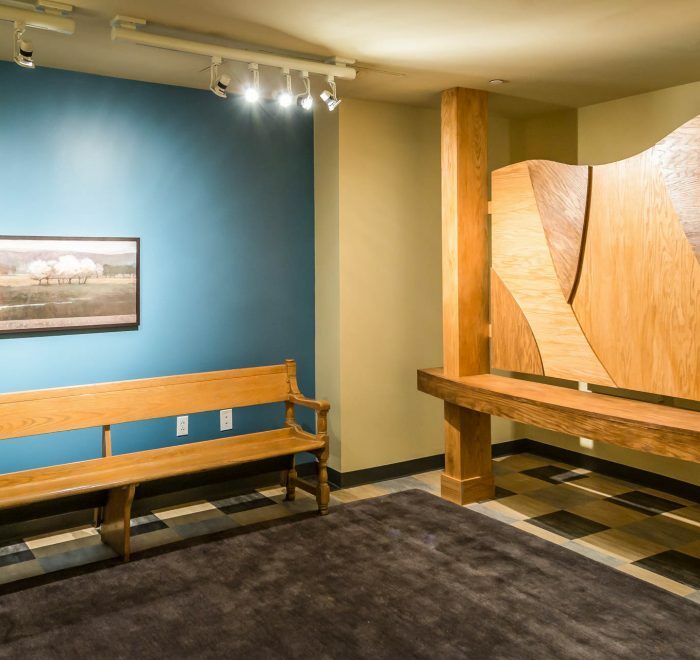 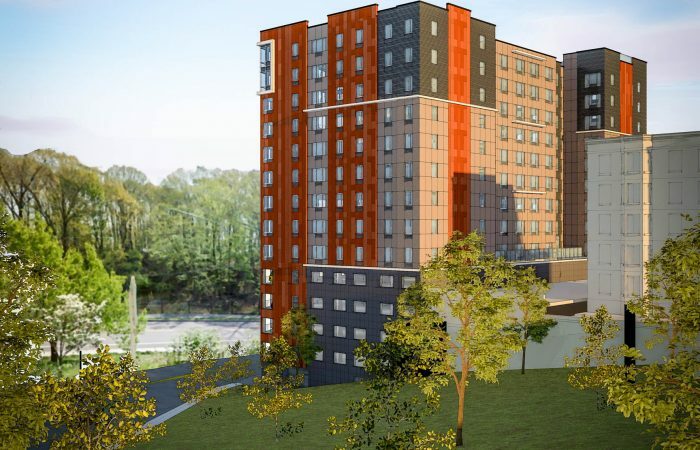 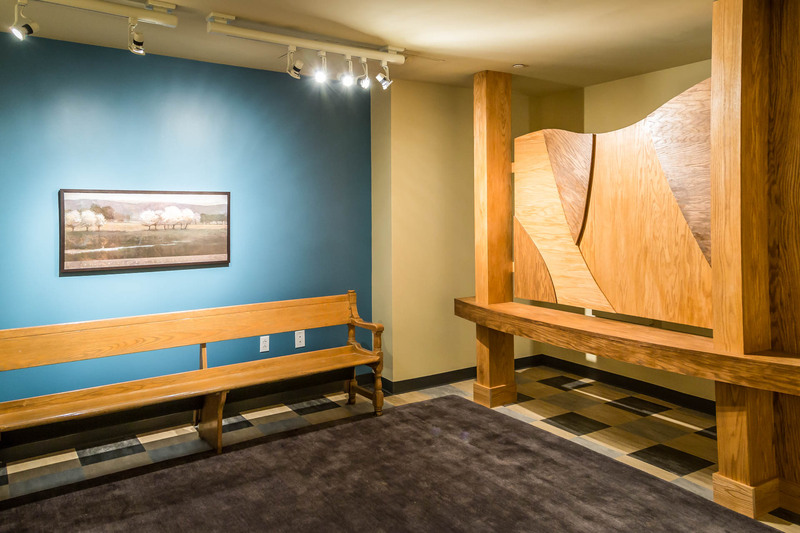 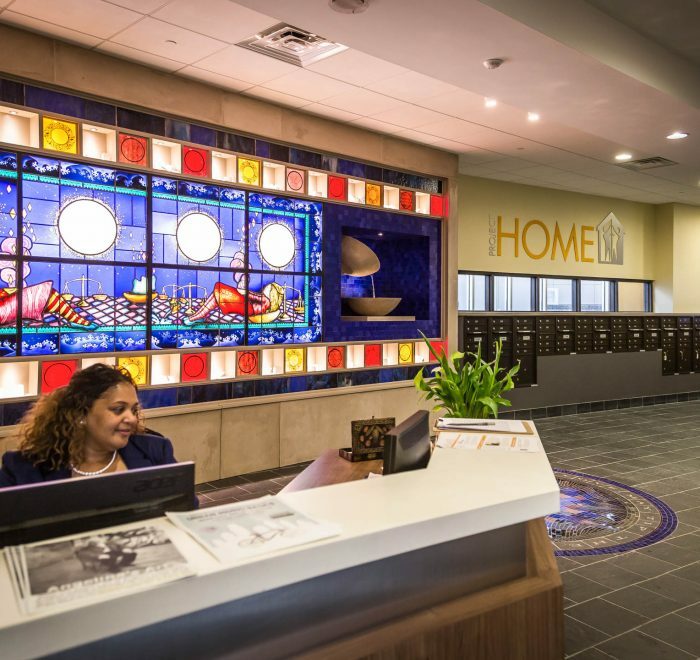 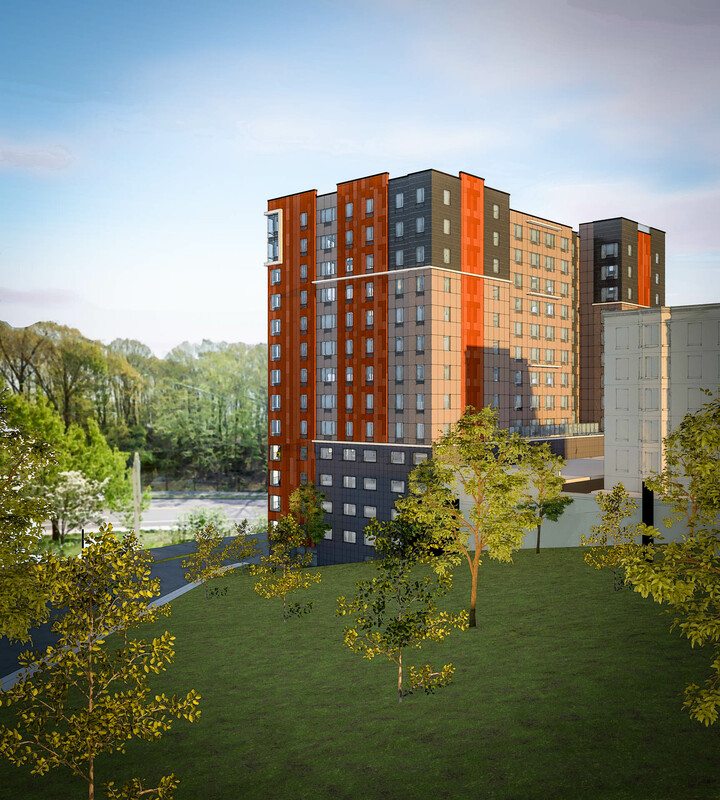 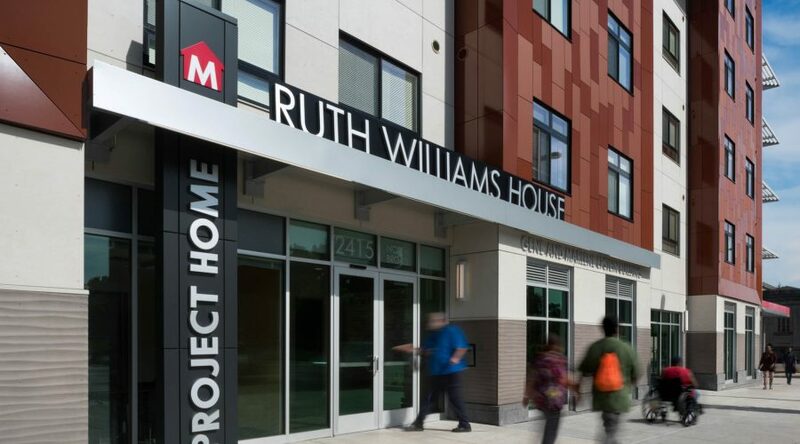 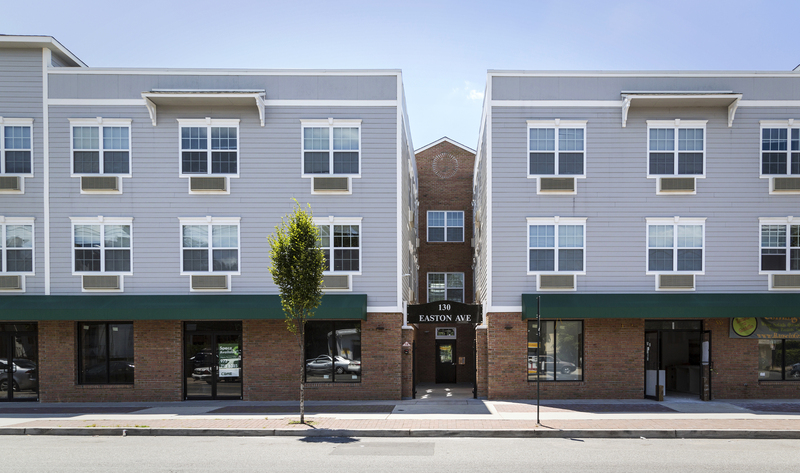 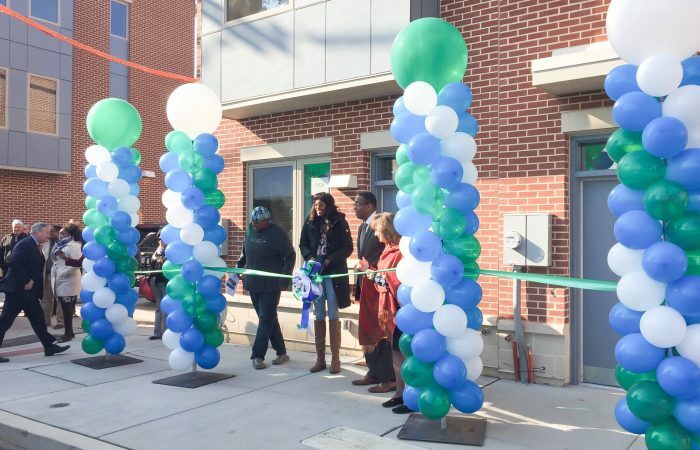 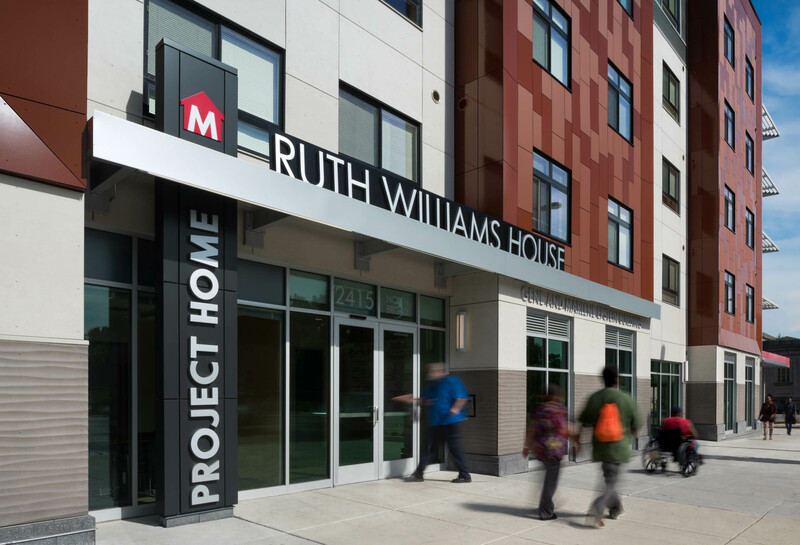 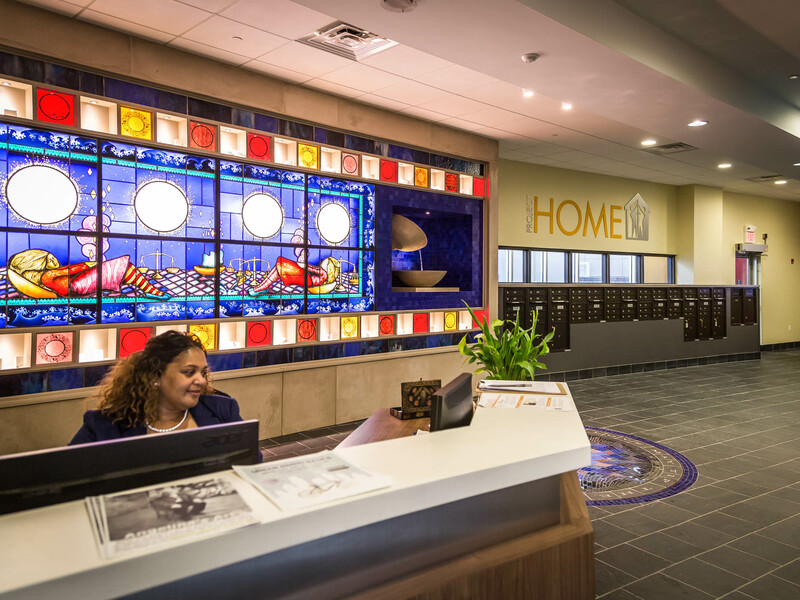 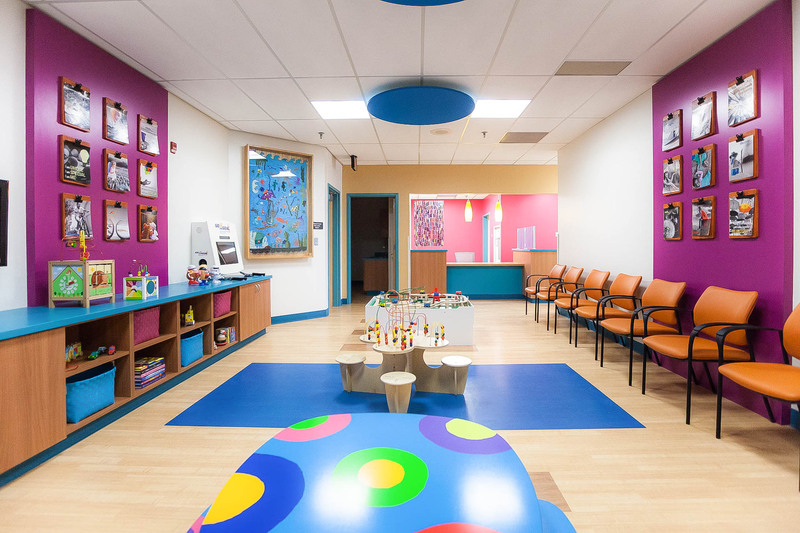 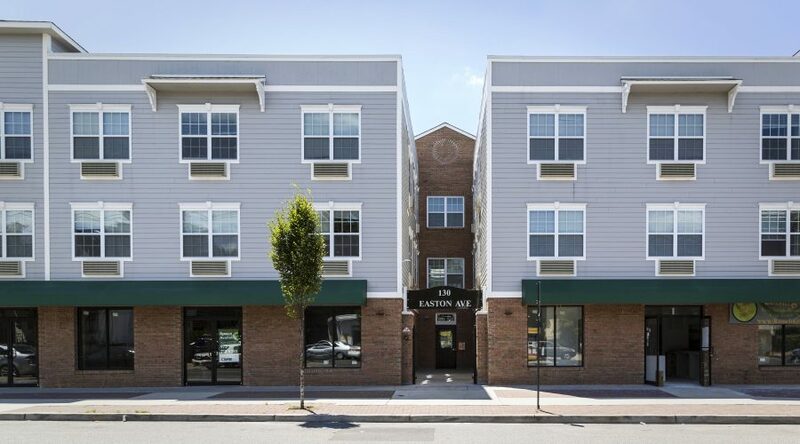 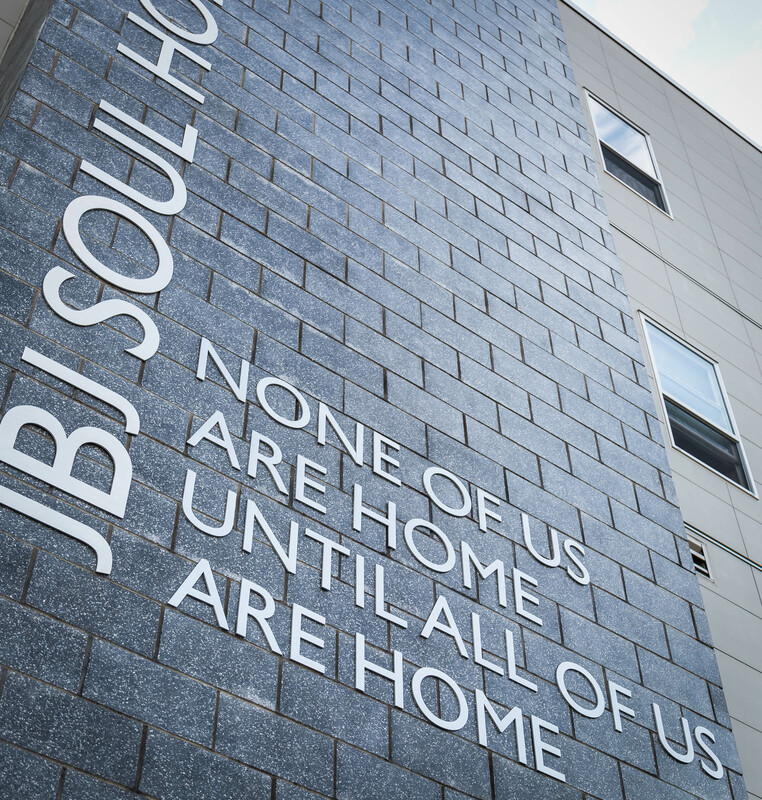 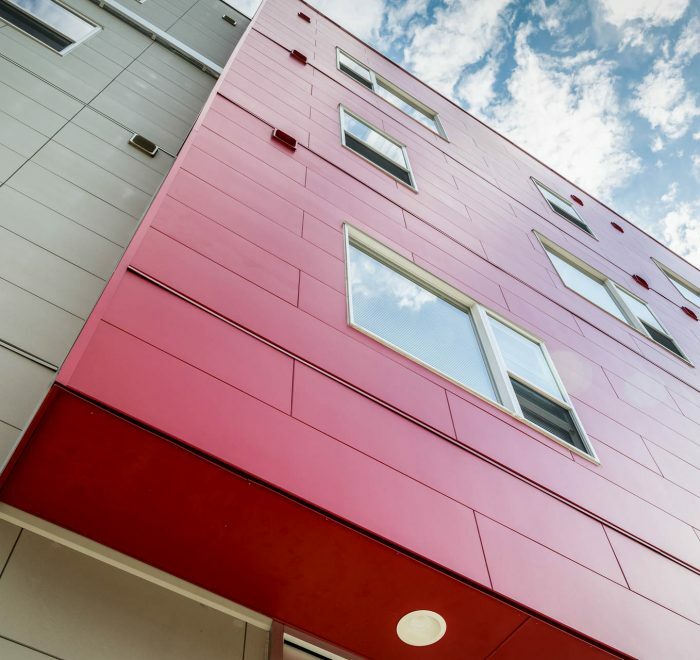 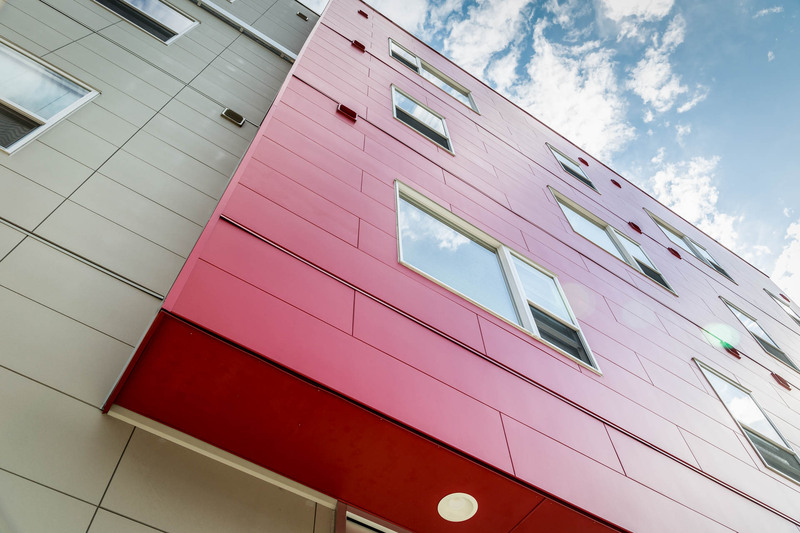 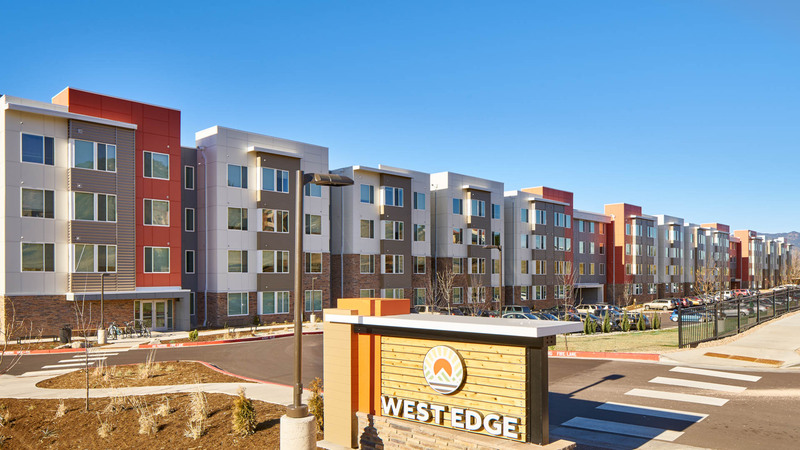 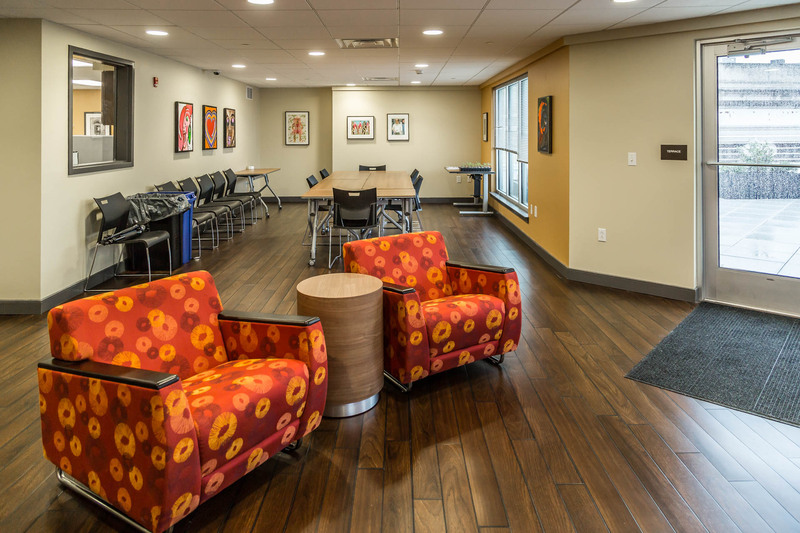 In addition to the residential component of the project, JBJ Soul Homes also includes administrative offices and suites for supportive services and Project H.O.M.E. 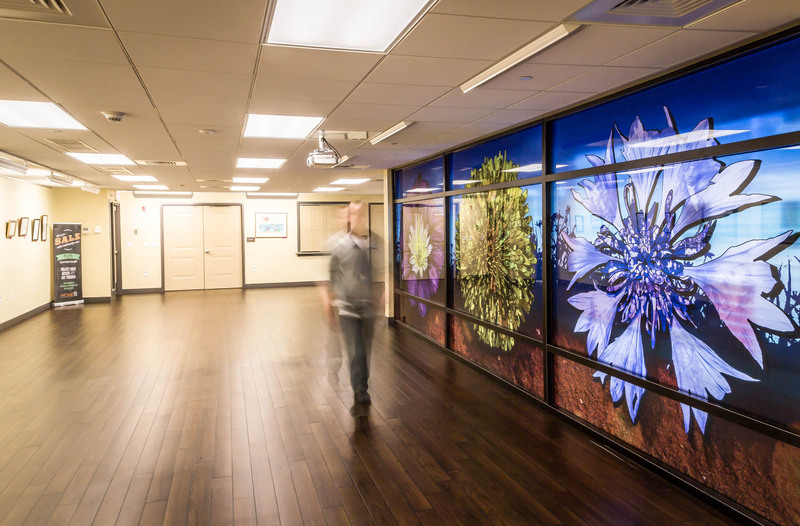 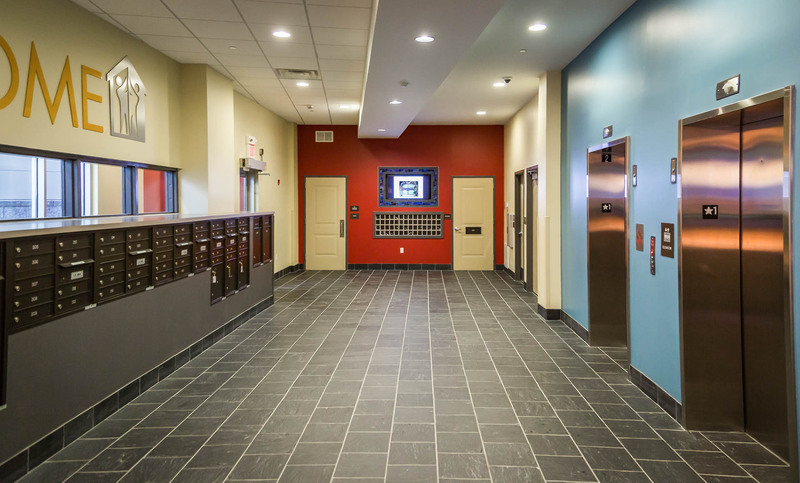 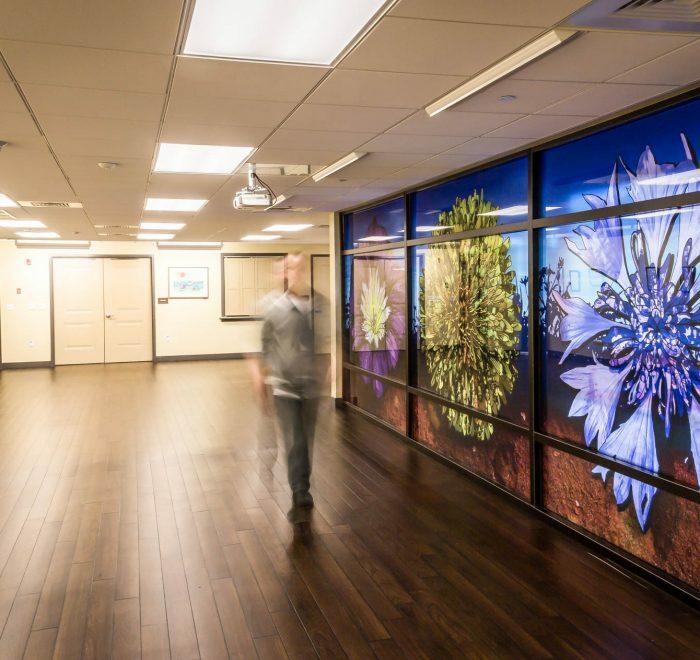 staff, as well as shared community spaces, a computer lab, laundry room, exercise room and resident storage facilities. 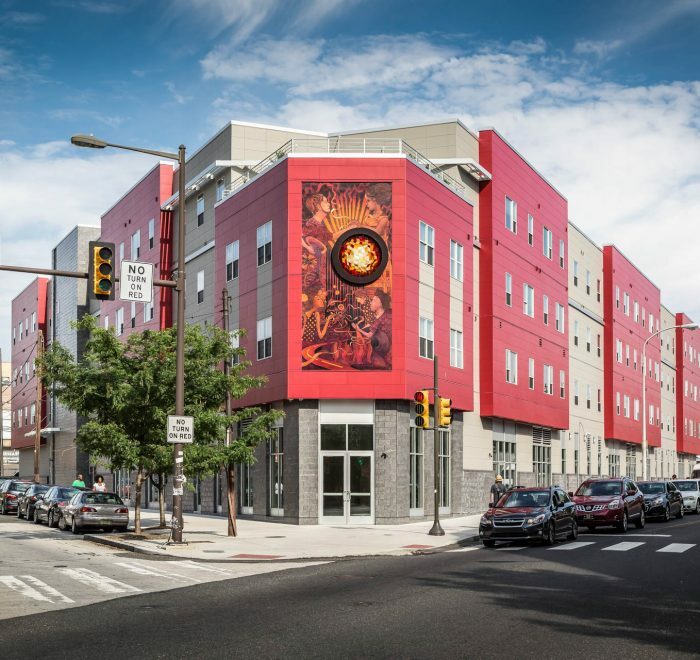 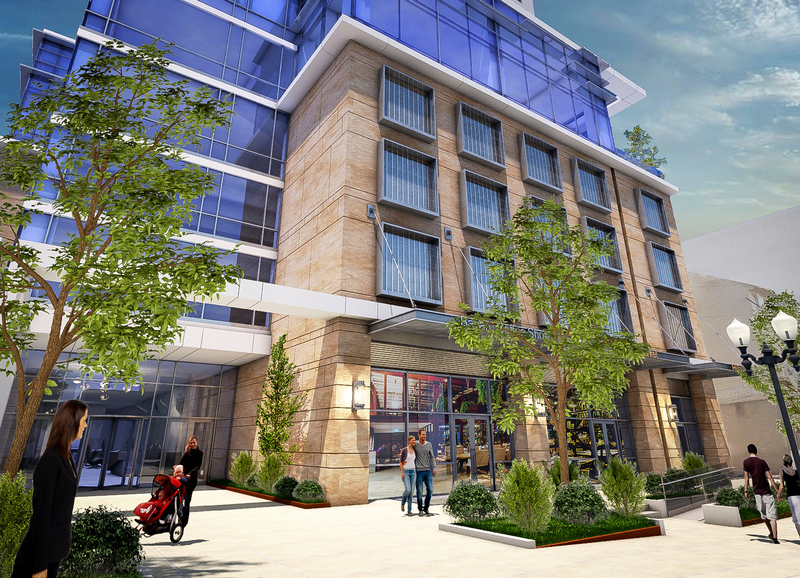 A commercial retail component is planned for the ground level in partnership with local community-based groups and organizations. 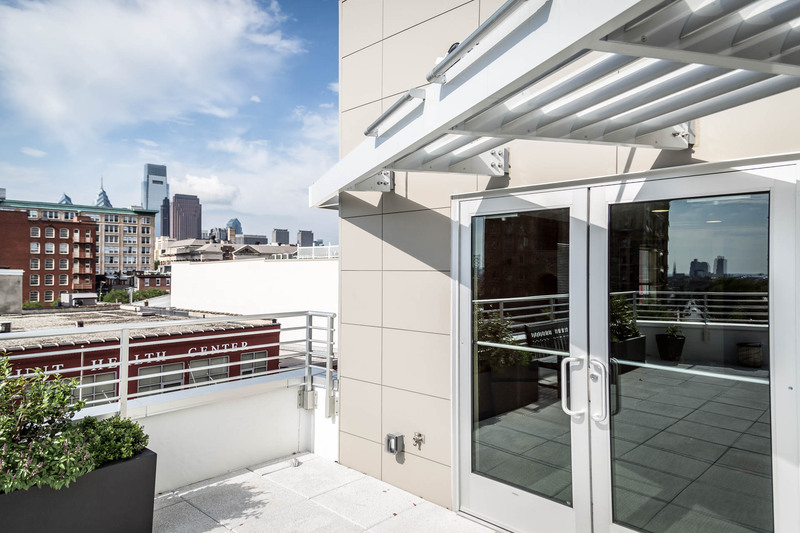 The facility also contains on-site parking spaces for twenty vehicles.